"I'd like to add you to my professional network." Sounds ridiculous, right? That would never happen in real life. So why would you invite someone to connect on LinkedIn with an introduction like that? Download our ultimate guide to LinkedIn here for even more tips to master professional networking. When you want to connect with someone professionally, especially someone who doesn't really know you, you need to introduce yourself and explain why you'd like to connect with them. Were you inspired by their latest article or blog post? Did you want to pitch a co-marketing partnership with them? Are they perfect for a job opening at your office? 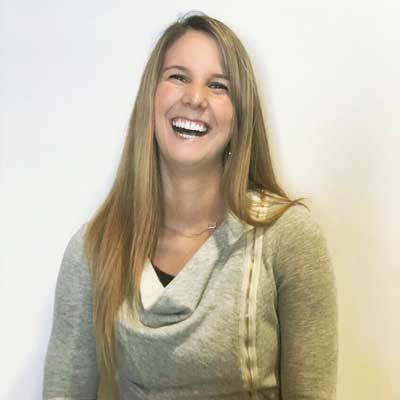 Your profile photo is the first thing a person sees on your LinkedIn invitation, so make it a good one. Be sure you're the only person in the photo, you haven't just cropped yourself out of a group photo, it's not a selfie, and you look professional. And please, no creepy profile pictures. Begin your message with a "Dear [name]" or "Hi [name]" -- and make sure you've spelled their name correctly. Did you chat at a conference? Did a friend recommend that the two of you connect? Are you following each other on Twitter? Remind the person how s/he knows you somewhere in the message. It's really important to explain why you want to connect with them so they don't think you're just out to increase your number of connections. Even if you've met the person before, there's a chance they won't remember who you are. Always include a one- or two-sentence tidbit on what you do. It's always nice to include a few kind parting words about their work, job experience, or company. Don't forget a warm sign-off! 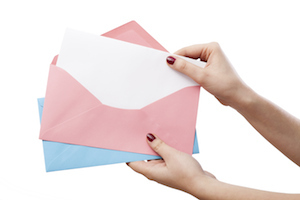 It's a small detail that can make your invitation feel much more welcoming and personal. Whether you're recruiting someone, complimenting them on their work, or telling them how much you enjoyed meeting them at yesterday's event, a personalized LinkedIn message with the elements we listed above can go a long way. 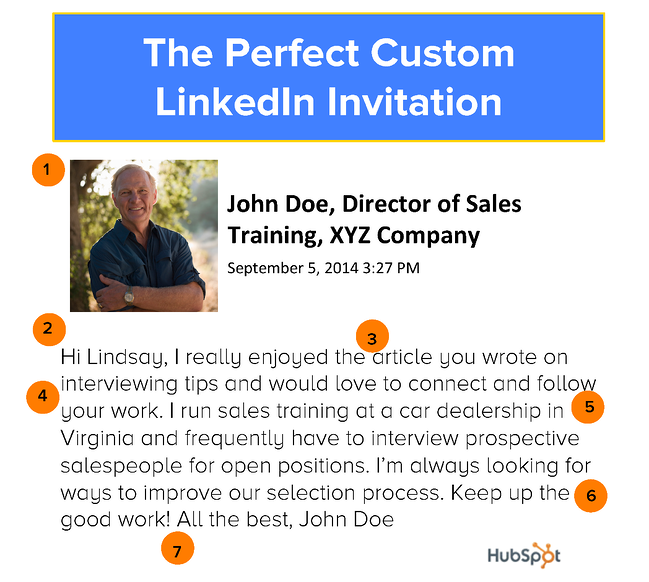 What other tips do you have for creating LinkedIn invitations people will want to accept?